With bright, sunny skies, we couldn’t wait to soak in all the talent Sound City had to offer! In its new location at the Baltic Triangle, we were all eager to explore the exciting new venues to dance the night away in. With little starting till 2 o’clock, I had the time to wander around Sound City’s new home, taking in its full glory. With parts of the Baltic Triangle are still being developed, I believe it has great potential to home the festival again next year. With headliners such as DMA’S, Peace and The Slow Readers Club gracing the stage, we knew we would be in for a fantastic weekend. 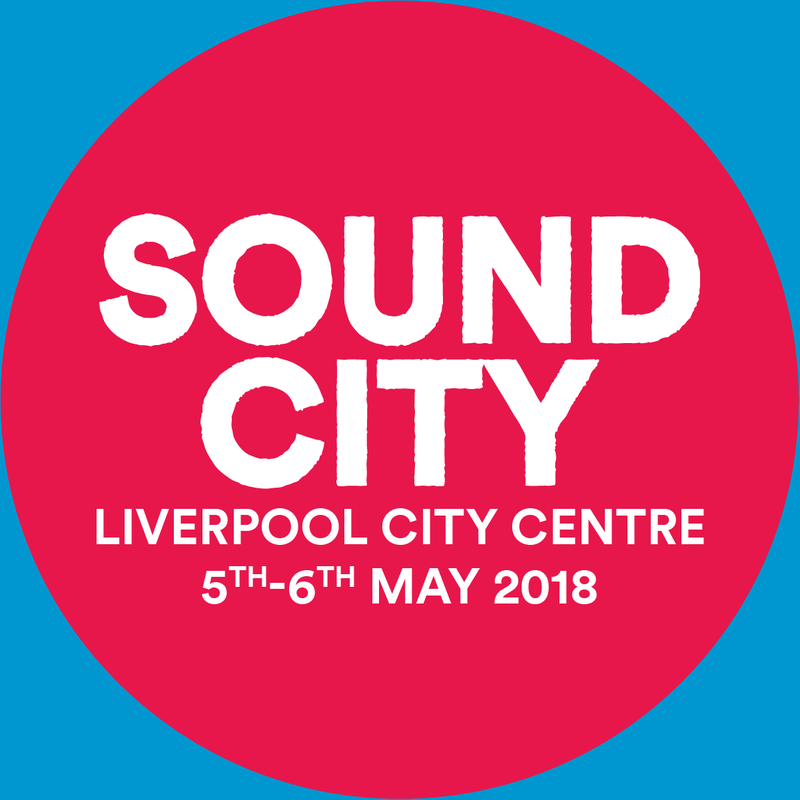 But here at Popped Music, our focus is on the new, and of course, Sound City delivered with a killer line up of emerging talent that we couldn’t wait to see! Unfortunately, I wasn’t able to make it to the Saturday, and was disappointed to miss great names such as No Hot Ashes and The Blinders but was all too eager for Sunday! Peaness bought the sunshine indoors with their melodic indie pop and an enthusiastic performance. After seeing them support We Are Scientists and The Cribs, the 3 piece have gained a lot of, well deserved, positive attention. Their harmonies filled the room, delighting the audience and getting us on our feet and dancing along. I found myself wishing for a longer set as Peaness always put a smile on my face. If you still haven’t had the pleasure of seeing them, then I urge you to do so with haste! With that much sun shining down on us, it would be wrong to not see the wonderful Cassia. From the first chord struck, the crowd charged to the front and we were intoxicated by their charming and complex rhythms. Playing fan favourites Mona and Come & Talk, the 3 piece thrilled us, getting everyone dancing and singing along- even those who knew little about the band. The sunburn on my shoulders and the calypso-flavoured afro-rock sound flooding from the stage transported me to a beautiful sandy beach; I was in my own little world dancing to myself! I have been waiting months to see Cassia live and they exceeded all expectations- what an utterly spectacular band! Being unable to get into the venue to see Berries, we stumbled upon post-punk 4-piece, The Ninth Wave. Hailing from Glasgow, The Ninth Wave impressed us with their heavy, driving beats that bounced off the walls, filling the venue with such an immense sound and atmosphere; keeping our gaze solely fixed on them. Taking inspiration from new wave bands like The Cure and Talking Heads, the 4 piece kept us engaged with their surging rhythms and powerful vocals. Glasgow is a famous birthplace for outstanding bands and The Ninth Wave proved just that. Of course, I was there to see Brighton 5 piece, The RPMs! Why wouldn’t I? Making for a prominent change from the gothic, post-punk sounds of The Ninth Wave, The RPMs, sauntered onto the stage and began with ease and professionalism. Immediately, I was driven to the front and I couldn’t help but to dance! Their infectious rhythms and playful beats flooded the room and I was drowned in their melodies; soon enough it was just me and the music and I couldn’t be happier! Frontman, Jack Valero’s, harmonious voice soared over the crowd, pulling them forward to join our incredible dancing! The RPMs have proved time and time again that they are a band that have great potential- I shall never tire of seeing them play. Ending the night, I finally got the chance to see Glasgow’s LUCIA. 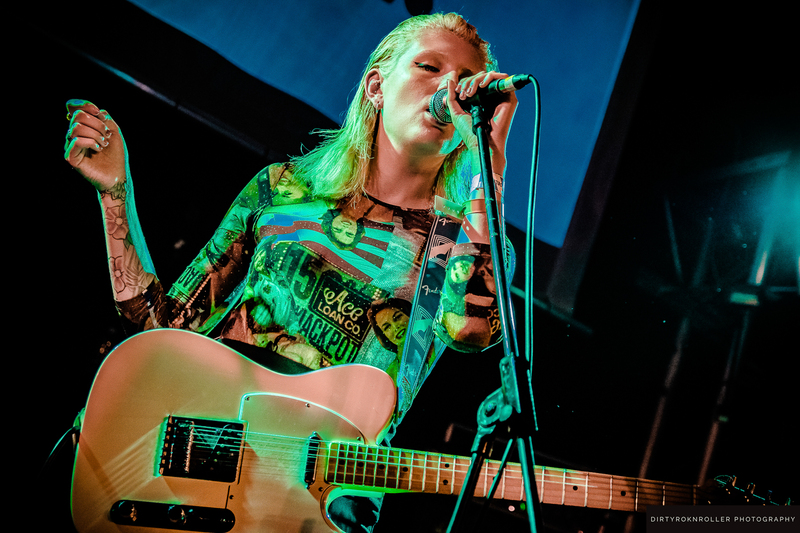 Supporting the likes of The Undertones and Black Honey, LUCIA has gained a loyal following and were certainly on top form for Sound City! 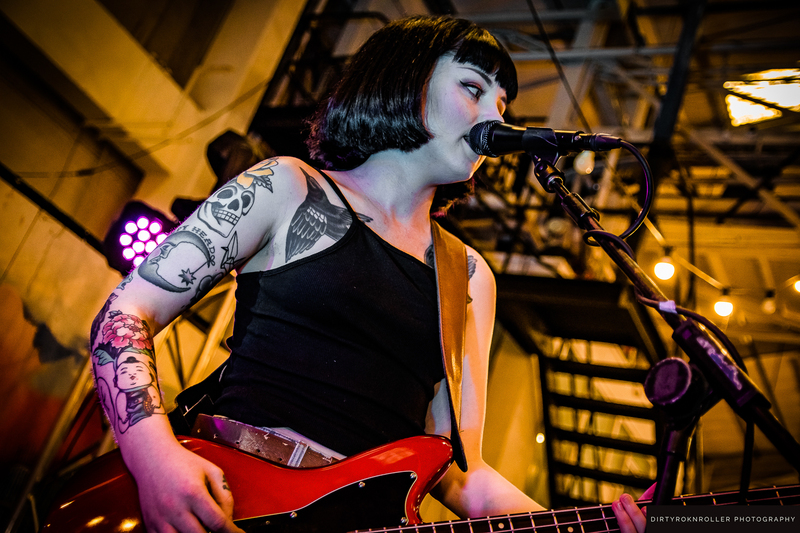 Commanding the stage with confidence, LUCIA had the crowd hooked with rising riffs and powerful vocals. Unfortunately, I had to leave before the end of their set to catch my train home, but I was thoroughly impressed by them and everyone else I had seen that day. As this was the first time I had been to Sound City, I can’t compare this year to a previous one. However, it’ clear that they have chosen fantastic bands to keep us on our feet across the weekend. Roll on next year! ← Just Listen: Yonaka – F.W.T.B.